… Is hurting my eyes! Not really- everything is too soft and muted for that. But holy moley, every day brings some new ‘must stop a moment’ vista I can’t resist. My phone is feeling heavy with the weight of all that fog I’m stashing away inside. 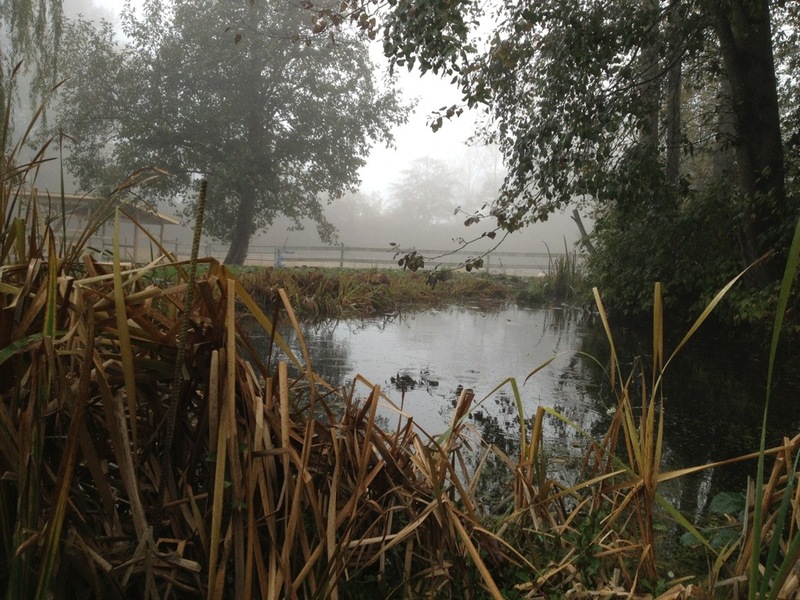 This photo was taken down at my neighbour’s pond where I lease a bit of land for sheep. They also have ewes, so we keep our sheep together and share the responsibilities of caring for them. I have the morning rounds which means I get to enjoy this sort of view every day while I’m digesting my oatmeal. This entry was posted in Blog, Sheep, Uncategorized and tagged farm, fog, pond, Sheep. Bookmark the permalink. It’s probably the one bright side of all this fog – the amazing photo moments that are everywhere. And I must say, you are catching some lovely ones! I’m personally ready however for the fog to go back to being a morning mist, burning off with the rising sun, thank you very much. No kidding! I can’t remember a fall when the fog was so persistent!